Not only do the materials used to manufacture Versetta Stone result in a realistic faux-stone look and feel, they do so while also weighing up to 75% less than full-thickness stone. Couple that with Versetta Stone’s complete, comprehensive fastening system and you get a product that is easy to install without the need of additional building footings or support. Oh, and since they’re panels, you don’t have to deal with the mess of using mortar. That’s a big plus whether you’re installing it indoors or on the exterior. Boral’s Versetta Stone is as durable as it is beautiful: it can stand up to winds of up to 110 MPH is backed by a 50-year transferable limited warranty, and is available in a range of styles and colors. 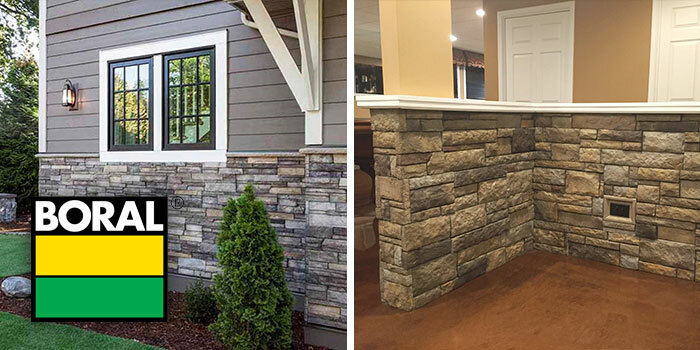 Visit our Versetta Stone webpage or stop by our showroom to learn more, and find out how you can add a touch of stonework to beautify your next project at a fraction of the cost and effort required for the real thing.